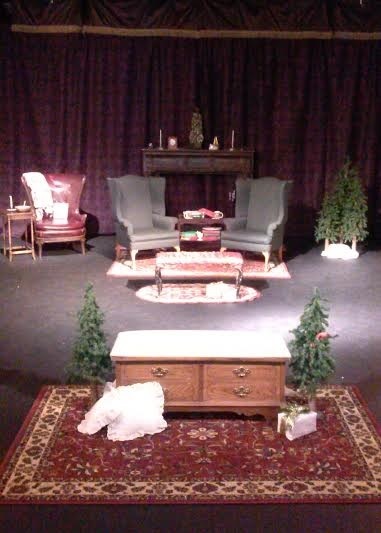 Take the stage with your favorite holiday memory or story to tell. 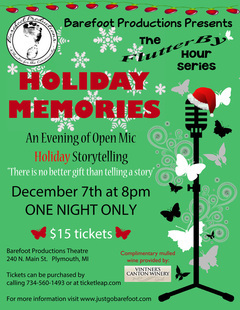 As part of our FlutterBy Hour storytelling series, Holiday Memories lets you share with us a story from your past. Whether warm or chilly, exciting or somber, on this special night our stage is yours to reflect and share. In the tradition of the popular Moth Radio Hour on National Public Radio, we offer our version with the FlutterBy Hour series. Complimentary hot mulled wine will be sampled from Vintner's Canton Winery and there will also be edible treats to snack on. Please join us and share your favorite holiday memory. After all, there is no better gift than telling a story.